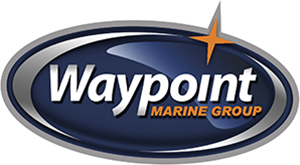 Waypoint Marine Group has a wide selection of Walker Bay Boats, the Walker Bay Super Tender come with great performance! Do you know? We provide Boat Repair services in Seattle and surroundings. The feature loaded Super tender Console RIB combines the new Super tender RIB boat with our fully integrated injection molded Console unit. Together they create an amazing small RIB, boasting more storage than any boat this size, superior comfort and exceptional performance from a deep V Hull. The custom designed console offers more legroom for the driver, creating an exceptionally comfortable riding position. Integrated seat cushions and backrest combined with the smooth ride of the deep V hull give passengers the feeling of being in a boat twice the price.